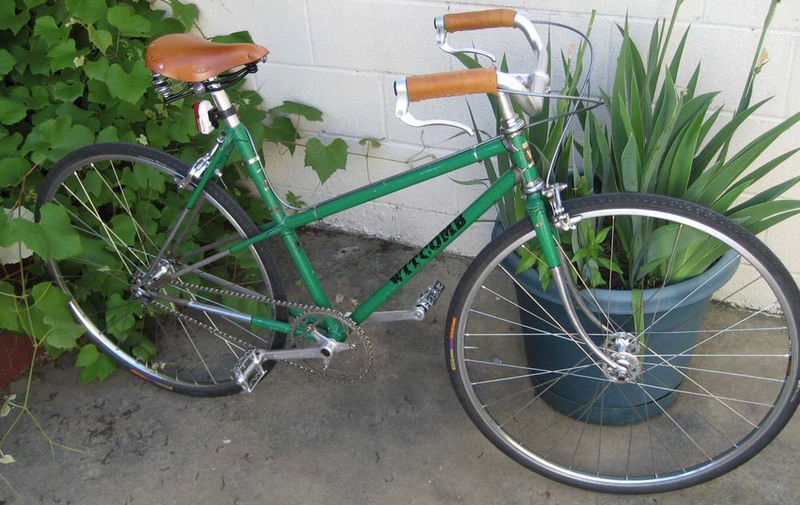 I leave you with my new bike I am using for city commuting. 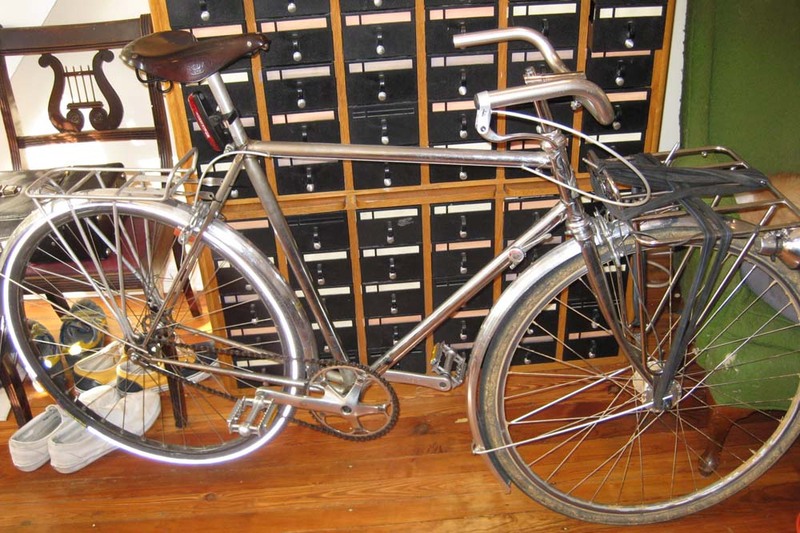 It is an early 1960s french Rochet chrome frame. It was originally chrome plated, then painted a translucent candy color over it. when I got it, it had already been stripped of it’s paint. It is currently set up as a fixed gear, as I have not had time to install the front brake to turn it into a Sturmey Archer 3 speed. 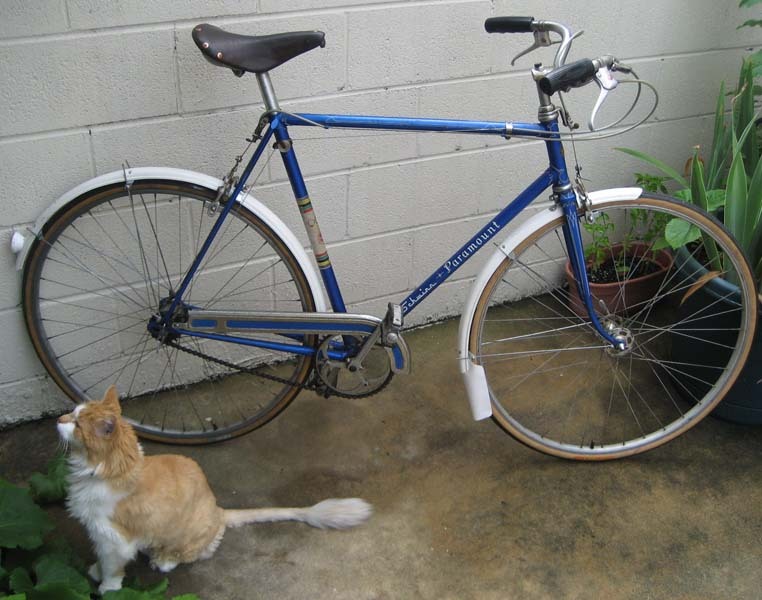 I got the handlebars, brake levers, fenders, and front Porteur rack from Velo Orange. Front rack is not properly installed it yet. The Schmidt dynohub and Schmidt e-6 light are from Peter White cycles. I still have to install a chainguard as well. 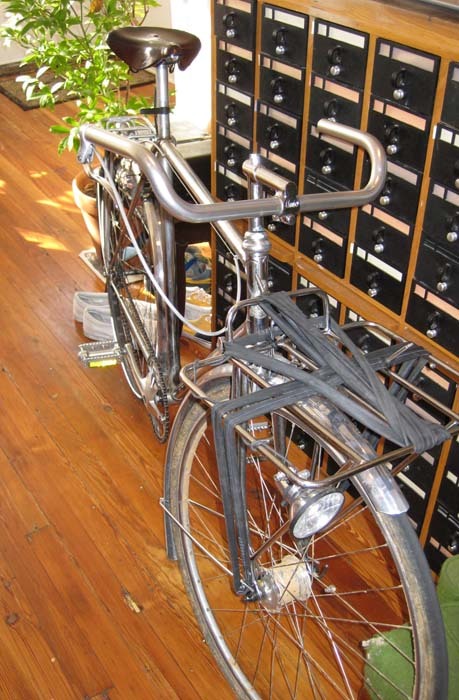 The rack is the perfect size for a flight case record box that I strap down with old inner tubes. The handlebar stem is an old underslung track stem I had laying around. Paramount looks great – much better than it did sitting in my garage. well well well. Seems as though I’ve overlooked this detail, and only through a technological loophole do I now find it. Under my nose the whole time! I will be following you more literally from now on, Ralph.